Select your pet from the list below or choose to create a new pet to fetch your own personal story book. 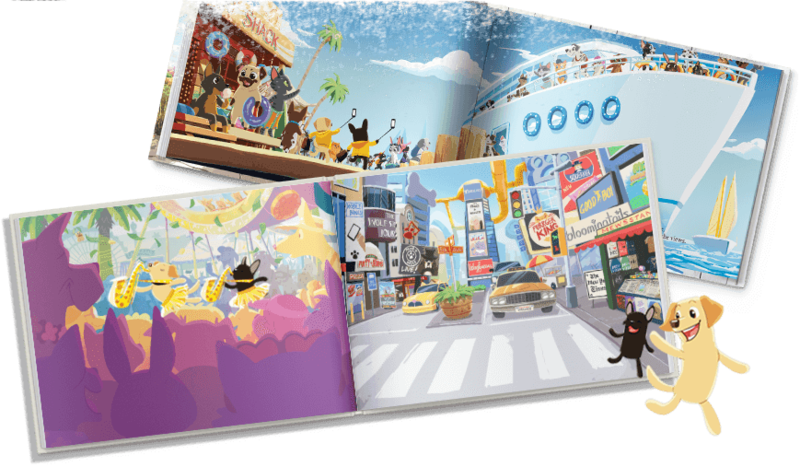 Available in paperback and hardback options, this pawsome adventure sees any TWO dogs embarking on a fun-filled roadtrip across Petlandia, from Mew York to Hollywoof via San Franbiscuits and beyond. Fur is ruffled but friendship conquers all! Completely personalized, you can write a personal message, choose two dog and and owner name while our furry friends work their magic and do the rest! TWO dogs. 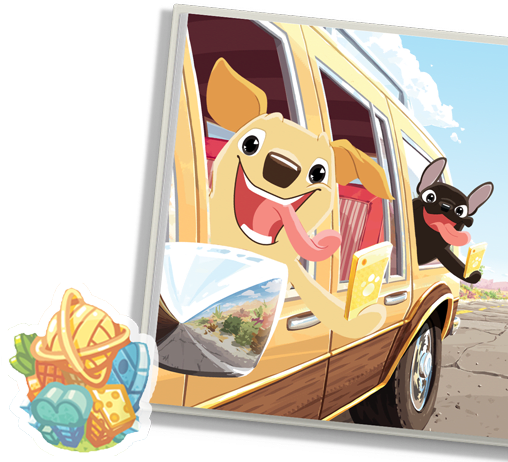 One fur-raising roadtrip! Create and preview your unique book in seconds. It's the perfect gift for anyone with two furry friends. 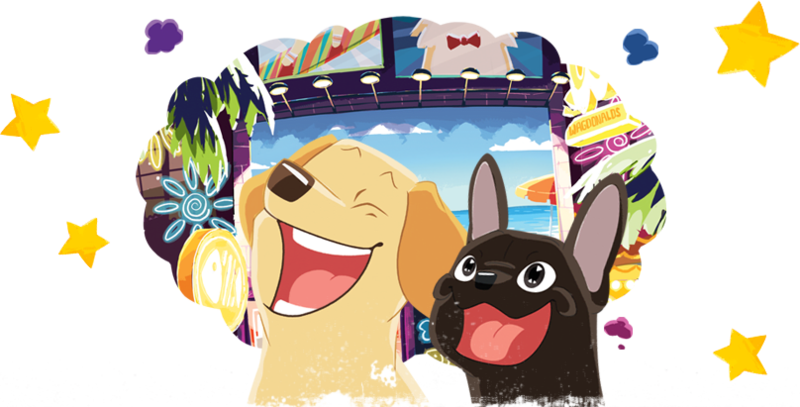 You can even create a book starring your dog and a friend's pooch. 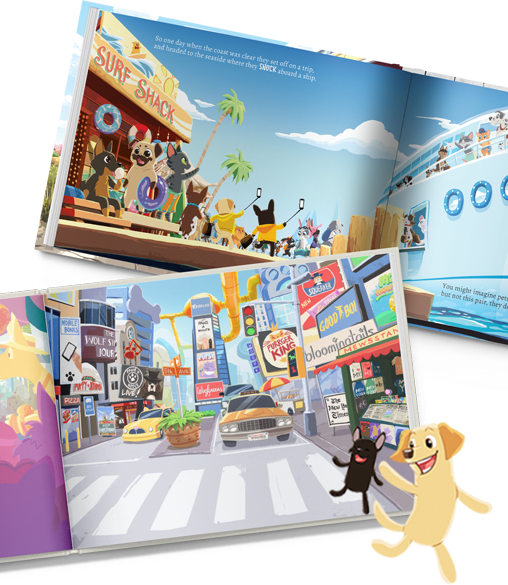 A unique personalized story book starring any TWO real life dogs. Fur is ruffled but friendship conquers all. It's the most wagnificent roadtrip ever. WOOF! Hand-illustrated, this hilarious but heartwarming tale tale of two doggies is the perfect gift for pet fans of all ages.